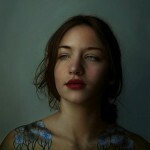 Born in Reggio Emilia on May 6, 1987, Italian artist Marco Grassi still lives and works in his native city. He graduated from the Academy of Fine Arts in Bologna. 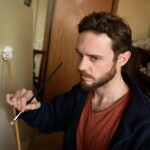 Marco chose to devote himself full time to painting, a passion that accompanies him since he was a child. 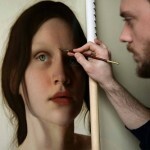 Line quality and delicacy in the colors are fundamental aspects of his painting. Fascinated by the changes of body and personality, he tries to reinterpret the human forms through metamorphosis and other contamination. His first solo exhibition was held in his hometown, Reggio Emilia, in December 2013 at the old Palazzo Calcagni. 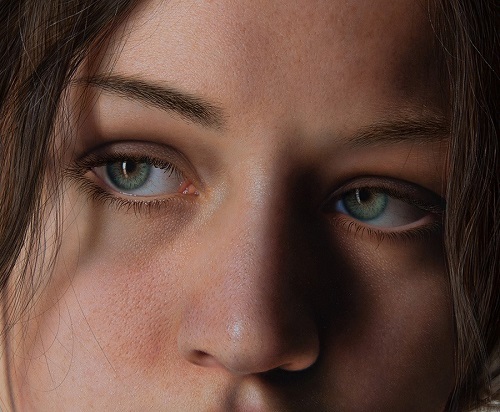 Among the latest exhibitions in which he participated is Algo mas que realism VIII, a major exhibition on the pictorial realism that is held every year in Zaragoza. He will also be present at the next Context Art Miami 2015. 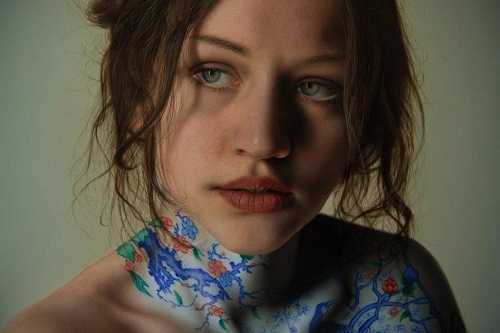 Speaking of the characters of his painting, Marco Grassi does not think it’s fair to call it hyper-realistic, since most of his paintings are not. The subjects depicted in fact suffer contamination, the metamorphosis that effectively exclude them from the category of hyperrealist. 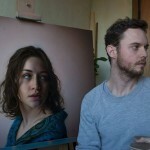 He does not find it correct to draw a parallel between these two arts too tight, that is, between painting and photography. 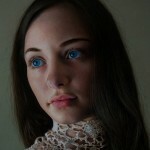 Marco sees it only as a means, a technological tool in order to reach a certain result in painting. There is a search for perfection that passes through the materiality of tools like colors and canvas, as well as the reality of the pictorial gesture. But it is said that what makes us human is our imperfections, and for that frailty and imperfections can also consider strengths or examples of beauty. Speaking on the ideal of female beauty – “I do not have a specific ideal of beauty, but I prefer the soft strokes and sensual femininity, I try to capture the most delicate and light side. 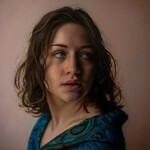 One of the most important, however, is not the beauty for its own sake, but to be able to stop a moment, a situation that belongs to the subject that you want to portray, everyone has their own, essential to find a balance and harmony on canvas, I think this makes the figure attractive. “The magic of art is able to create a bridge between what is sensory and what is material, until it come to us. When trying to create something new, something that still manages to excite, the medium, the channel, the style (etc.) are secondary”.